What is the debate between Non-GMO foods and GMO foods? 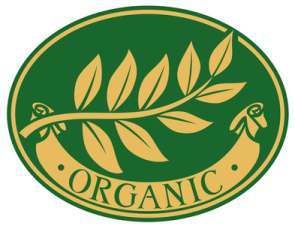 The labels on some foods now carry the badge proudly declaring its contents to be “non-GMO.” While this label joins the certified organic seal along with words such as “100% Natural” and other health-conscious phrases, the distinction of being non-GMO is obviously a good and healthful stamp of approval. But why do health-conscious consumers happily part with their money for the non-GMO label? The letters GMO are for “genetically modified organism.” With every issue there are two sides. Although most, if not all, consumers who are concerned about the quality of their food will reject GMO foods for many legitimate reasons, the benefits of GMO foods should be considered. 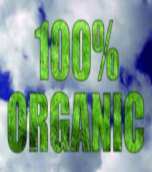 Genetic engineering has been developed for the enhancement of crops. While traditional breeding methods take years to develop bigger, better plants, genetic engineering isolates specific plant genes and actually programs the seed to produce the plant according to how scientists in the laboratory desire it to be (in response to how food manufactures want to grow food faster, bigger, more disease resistance and hey, the big elephant in the room - MAKE MORE MONEY)! Benefits of GMO foods includes making plants resistant to drought, produces a greater yield, uniformity, enhanced taste and ability to grow in adverse conditions. Additionally, the very questionable benefits of GMO foods include food resistant to insects, enhanced with drugs, synthesized vitamins, vaccines or worse. While the benefits of GMO foods seem at first glance to be great, there is much concern about the genetic engineering of food for many reasons. Are GMO foods safe? While many studies show that animals are harmed by eating GMO foods, humans are not used in tests to ingest GMO foods to see how their health may be adversely affected. There is absolutely no human study to show how GMO foods affect humans. What is scary is that humans are eating GMO foods every day that have been shown in animal studies to be very harmful. 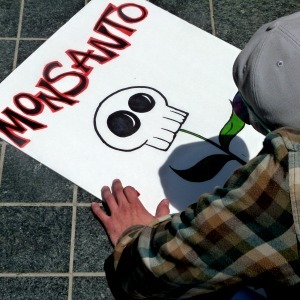 Most of these GMO food are found in soy products, canola oil and grains, especially corn. Think salad dressings, anything with soy (and what packaged and processed food does not contain soy?) crackers and cereal to name a few. Jeffery Smith, an GMO food expert and the author of the book Seeds of Deception talks at length about severe allergic reactions from eating genetically engineered foods. The genes used to modify the seeds are not always plant derived. These genes can be derived from certain strains of bacteria or higher life forms of animals such as frogs or scorpions. Beyond a simple and personal decision not to eat animal DNA, there is also the health-minded, freedom-loving consumers who don't want to be fed pharmaceuticals. When there is death caused by the food itself the legitimate concern about how GMO foods affect the environment and ecosystem pale in comparison. Illness and dying from GMO foods is a very real fact. Another article from the Huffington Post reports on a study showing how genetically modified corn is linked to organ damage. It would seem that GMO foods are slowly but surely causing severe illness which can lead to death. While food was once considered comforting, healing and nourishing, the increase of GMO foods can take this life-giving stuff to a new and very sinister dimension. Knowing the the dangers of GMO foods, it is no surprise that the demand for non-GMO foods is growing. 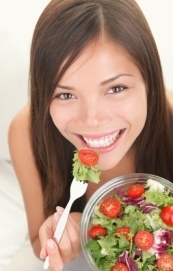 Health-minded consumers desire to eat only clean and safe food. 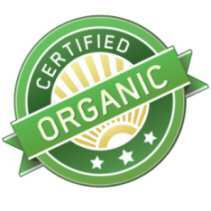 Therefore, certified organic food, which is by definition non-GMO food, is in demand.